More and more millennials are investing in experiences instead of material things. Camille (in her early 30s) happens to fall into that category. I can appreciate this because life is about building memories. Six-months from now, will you remember where you were or what you were doing when summer 2018 ended? Without a doubt, Camille will. A general conversation at work with Camille about work-life vs our dream life (LOL) resulted in Camille telling me about her upcoming trip. As a travel blogger, I was now all ears as I'm always listening out for information about travel experiences to share on my blog. So, I sat up and directed 100% of my attention to her because I was curious about what kind of trip Camille would be interested in. I will never forget -- Camille stated in her proud voice "I'm going to the Maldives!". I was elated and excited for her, I could see the anticipation in her eyes and in her body language. I especially knew that her upcoming trip was a much-needed vacation that we all need at times to relax, recharge and rejuvenate. 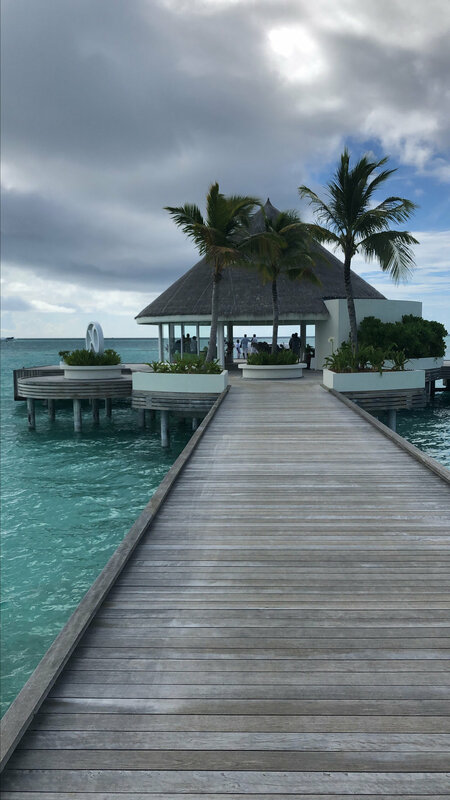 During this same conversation, I shared with Camille, that a close friend was traveling to the Maldives as well - as you might imagine, I started to think that the Maldives must be the "spot". Why was I going to be at work and them in the Maldives LOL?? I decided at that moment that I wanted to know every little detail about Camille's trip; with that in mind, I took the opportunity to introduce my blog to Camille. 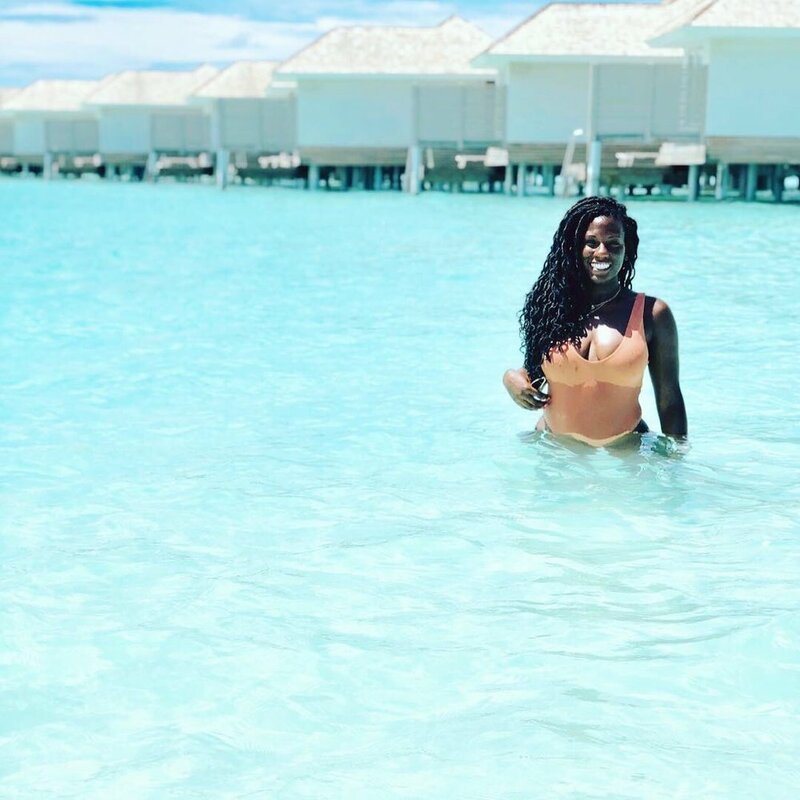 A few text messages and emails later, it was confirmed -- Camille agreed to share the details of her luxe vacation to the Maldives! How often do you travel? I travel more domestically, but over the past year, I’ve made a commitment to myself to take at least one international trip per year. My goal is to eventually increase that goal and take 3 or more international trips per year! What’s your travel style (casual, diva, like the natives, etc.)? I would call my travel style “casual cute & chic” lol if that makes sense. Comfort is my number one priority when traveling. With any type of travel, walking is usually one of the main activities and my clothes must be movable and breathable!! I ensure my travel outfits are lightweight, easy to pack, but also super cute! While on my trips, I do like to purchase articles of clothing from the natives as a souvenir for myself. What made you select this travel destination? I have always heard of the Maldives as this beautiful tropical location and that was enough to convince me that I HAD to visit this island on my own. I would always see pictures of the over water bungalows on the internet and pristine blue water and it would always look so peaceful. I decided to take the plunge and go visit. Luckily the amazing reviews of Kandima easily convinced me that the Maldives is a MUST see destination. I am already planning my return trip! What’s the one thing (attraction, architecture, natives, land, etc.) that you fell in love with while traveling? The Maldivian people were so welcoming to me during my trip, that I instantly fell in love with their kindhearted souls. I felt so comfortable being an outsider in their beautiful country and they have truly taught me that amazing people exist everywhere! What’s the one thing that you’d recommend that a traveler must do when they visit this destination? When visiting the Maldives, all travelers must go snorkeling! There is so much marine life right beneath the surface I was so surprised. Between the vibrant fish and different coral structures, you must go diving to experience and see it all! How did you learn about FlightsInStilettos, and what do you think about the brand? I work with Kinyatta which is how I learned about FlightsInStilettos! I think the brand and concept is amazing! It is unique and very different from the other travel blogs I've come across via social media. The brand is super catchy! And I also know it caters to so many travelers! It has that unforgettable spark to do great things! Good Luck!! If you're into relaxation, exquisite cuisine and snorkeling, the Maldives might just be for you! It's not a matter of if I'm going, it's about when! Camille's trip has inspired me and I'm sure it will inspire you! Let's go!